Liverpool Street Station opened in 1874 as a replacement for Bishopsgate station as the Great Eastern Railway’s main London terminus. 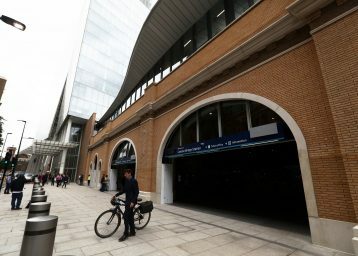 Liverpool Street was built as a dual-level station with provision for the Underground. And as a result, a tube station was shortly opened a year after the inauguration ceremony in 1875 for the Metropolitan Railway, and the station today is served by the Central, Circle, Hammersmith & City and Metropolitan lines. By 1895 it had the largest number of platforms on any railway terminal in London. 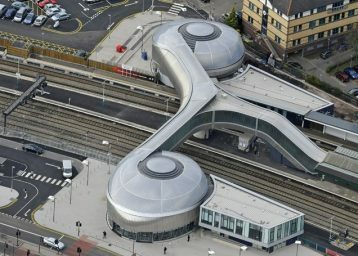 It was soon becoming the main station of London. 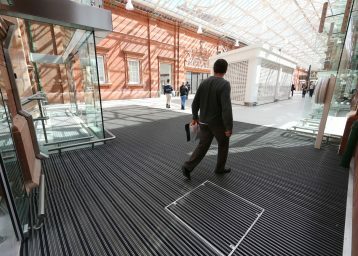 Find out how specialist Entrance Matting by INTRAsystems is helping the foot traffic at this station. 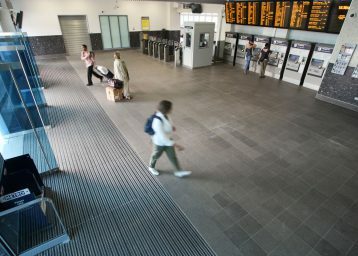 Today, Liverpool Street is the third-busiest railway station in the United Kingdom after Waterloo and Victoria, which are both also in London. 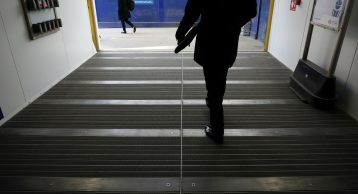 It serves on average over 63.6 million passenger entries and exits each year and is a popular destination for commuters; a report in 2015 ranked the route into Liverpool Street as the eighth busiest in London. Managed directly by Network Rail, trains depart from Liverpool Street main-line station for destinations across the east of England, including Norwich, Southminster, Ipswich, Clacton-on-Sea, Colchester, Chelmsford, Southend Victoria, Cambridge, Harlow Town, and many more suburban stations in north and east London, Essex, and Hertfordshire. 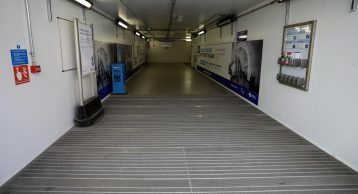 With such a high level of footfall, it was important that the station had heavy-duty entrance matting which not only fit the stations regulations but also trapped the dirt and moisture and prevented its ingress into the building. As a result, the INTRAform FR was introduced, this highly bespoke product carries the section 12 approved FR insert which meets the regulations enforced by TFL. 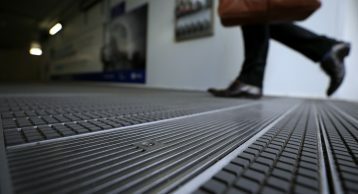 The FR inserts are specially designed to be fire resistant with low toxic smoke emissions and are designed to be installed in high risk areas such as underground stations. 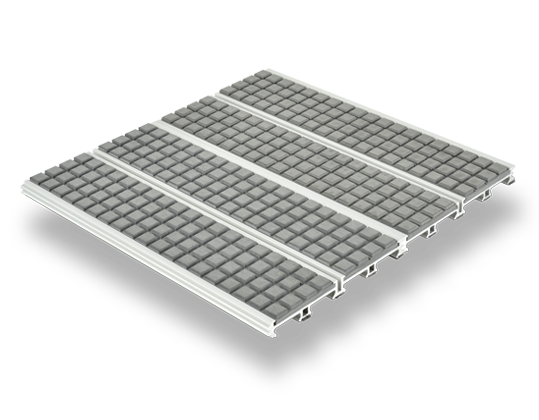 This product is manufactured using 100% recycled aluminium, and comes in open drainable or closed construction with interlocking plank system. 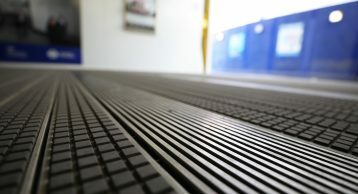 The 17mm depth designs it offers exceptional durability and performance. 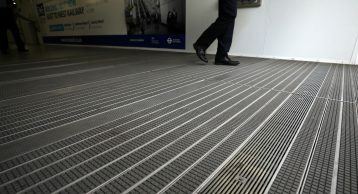 We could not be prouder in installing such as bespoke and innovative product for a major railway terminus in London and collaborating with Cross Rail who specified us in confidence. 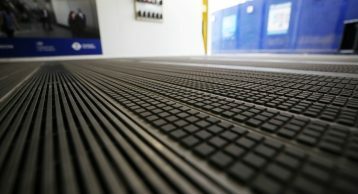 Contact our sales members who are always on hand to guide you through your next Entrance Matting installation and make your entrances a work of art. 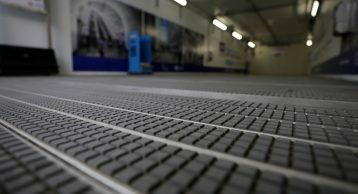 Call us on 01425 472000 to find out how we can help or visit our product page to learn more about the innovations behind the products.